Square One Publishers, 9780757003172, 368pp. All too often, we treat individual symptoms with drugs that may offer temporary relief, but do not alleviate the underlying cause. 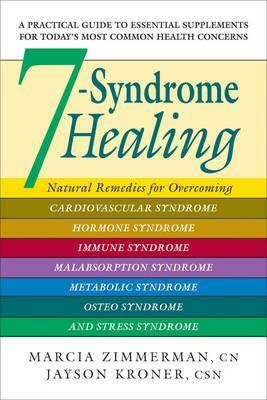 7-Syndrome Healing was written to help you identify the most common syndromes--Cardiovascular Syndrome, Hormone Syndrome, Immune Syndrome, Malabsorption Syndrome, Metabolic Syndrome, Osteo Syndrome, and Stress Syndrome--and guide you in reversing them with natural products. You will first discover how to pinpoint your syndrome, and then learn which dietary supplements can help you stop the progression of your health problem.